Subaru hasn't really stopped with the WRX/STi thing for years, Nissan revived the GTR brand in 2009 after dominating the field in the late 80's early 90's. The lancer was a strong contender back then and reminds a formidable choice even these days with it's new look and design. Even Toyota has already had their remake of the classic Supra out and about, the monster LFA. MotorTrend's Acura NSX Concept GT5 Debut video reminds of the classic NSX before giving a glimpse of the future. 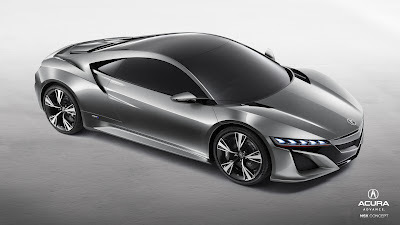 InsideLine has a great clip of the 2013 NSX concept unveiling at the 2012 Detroit Auto Show. Of course, everyone's going to want an NSX... Jerry.